Scherrer Gustav, Verzeichniss der Handschriften der Stiftsbibliothek von St. Gallen, Halle 1875, S. 233-235. St. Gallen, Stiftsbibliothek, Cod. Sang. 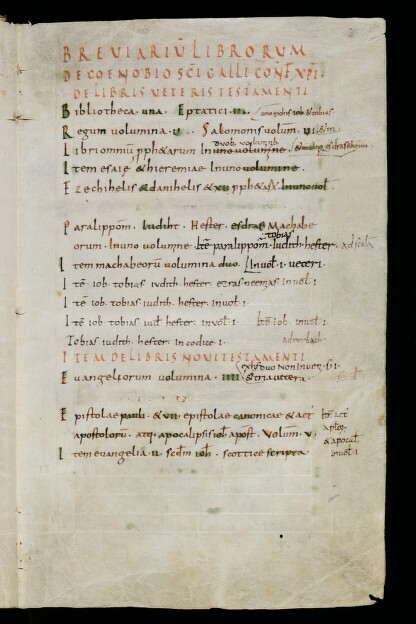 728: Composite manuscript (collection of capitularies of Ansegis, Lex Salica, Lex Ribuaria) (http://e-codices.unifr.ch/en/list/one/csg/0728). There aren't any annotations for this manuscript. Be the first to create one! There aren't any new bibliographical references for this manuscript. Be the first to add one!